With a firm commitment to exceeding customers expectations, Dutemänn has positioned itself at the forefront of the aluminium sliding door market. 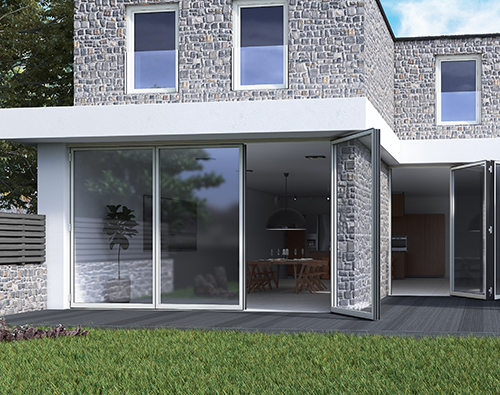 With a product range that includes high quality and technologically advanced aluminium bi-fold and sliding door systems, Dutemänn has witnessed an expanding customer base of installers and retailers. 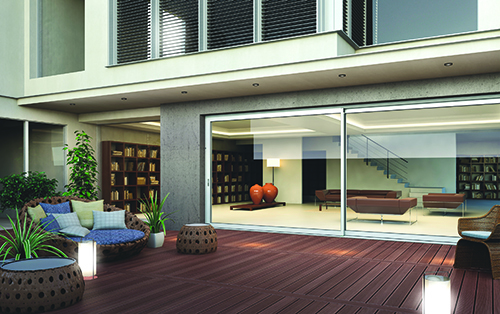 In the sliding door market two particular product lines have been grabbing all the headlines. The FD85® aluminium bi-folding door system and the Glide-S aluminium sliding door system have both made real impressions on the market. Launched at the 2017 FIT Show the FD85® has proved incredibly popular and has further enhanced Dutemänn’s market leading offering in the aluminium bi-fold door sector. Managing Director Martin James said: “All our products are designed to be best in class and the FD85® is no exception. The FD85® bi-fold sits perfectly alongside our existing best-in-class Schuco bi-fold.” The FD85® features a host of design features that makes it really stand out from the crowd. Headlining features include the extremely slim 105 mm mullion sightlines, fantastically low U-Values and the eye-catching panel widths of 1.35 metres. The beauty is that for an opening up to 4,050 mm you now only need to have 3 panels, and with it the associated benefits of a fully functioning lead door and more glass and more light. The system has been designed specifically for bi-folds, however, the system also allows for a single door to be manufactured for a side door or even for a set of French doors. In any instances, a bi-fold goes into an extension or Orangery and there is also scope for replacing the existing side door. This can now be done with a door matching the profile and aesthetics of the bi-fold. Dutemänn has also created a new intelligent gasket system for the FD85® that has a significant effect on the thermal performance of the door. Incredibly secure, the new bi-fold has PAS 24:2016 as standard and features a unique Quad-bolt™ System. This system includes four way shootbolts that work across the panels. Feedback from customers has been impressive and Martin enthuses: “Feedback from installation teams field suggest that FD85® has become the “fitters friend” with its easy fit outer frames along with hinge and lock adjustment. The outer frame has been designed with corner setting blocks for quick, efficient and trouble free installation. Once the frame is in place it is a simple matter of installing the panels and glazing.” When it comes to inline sliding doors, the Glide-S is another best in class product. The Glide-S has reinvented the inline sliding door and incorporates ultra slim profiles including a 47mm mullion and a fully weathered 28mm up stand threshold. The unique Glide-S gearing system lifts the sash to deliver effortless opening and closing of up to 400 kilos per panel. This innovation and the inherent structural integrity of the aluminium system, means that it can easily span an aperture of 6.7m wide by 3.2m in height in just two panels. The combination of slim aluminium sight-lines and superb lift gearing means Dutemänn Glide-S will give new architectural flexibility for a client who desires a patio door, delivering maximum glass area without the interruption of multiple mullions. With masses of appeal in contemporary new build, high rise and roof-tops or more traditional installations, glide can provide a highly innovative glazing solution to a wide variety of projects. With a 10-year guarantee and manufactured to Dutemänn’s exacting standards, Glide-S elevates the inline sliding patio door to reach new horizons. Nationwide delivery is key to Dutemänn’s offer for customers, which is further backed-up by an impressive marketing support package. Martin emphasises the importance of nationwide delivery: “It is important for us to allow retailers and installers from all over the UK to have access to our range of products. Nationwide delivery is one of our key selling points, and is a firm commitment to making our market leading doors available to customers.” For more details on Dutemänn’s wide range of aluminium sliding doors please call 01322 771213 or email: sales@dutemann.co.uk.